This depends on how you are going to use it. Better to choose one that is memorable and not confusing. What is the difference between a static and dynamic site? A static site is one that written in HTML only. Each page is separate and no database connectivity. In these sites we have to edit individual pages and update the site, when ever we want to update some content. A dynamic site is written using code. Page content will be derived from database dynamically depends on the inputs from another page. These sites reduce ongoing maintenance costs. These sites construction cost will be more. Gayatri Technologies is sensitive to privacy issues on the Internet and in general has no objections to User accessing its website without providing any personal information. However there are circumstances like those listed below when we may request you to provide your personal information. In some circumstances, We may request for some personal information from you, like your name, e-mail address, company name, or telephone number. You are at liberty to respond or not to these inquiries and any and all information provided is strictly voluntary. 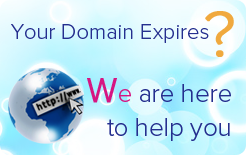 In general, you can visit our site without disclosing any personal information. 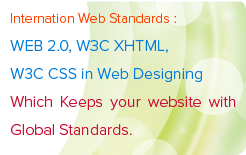 Gayatri Technologies reserves the right to change, modify, or update this statement at any time without notice. Gayatri Technologies is not responsible for any errors, omissions or representations on any of our pages / links on any of our pages. Gayatri Technologies shall have no responsibility for any damage to User's computer system or loss of data that result from the download of any content, materials and information from the Site. Gayatri Technologies may unilaterally change or discontinue any aspect of the Site at any time, including, its content or features. Gayatri Technologies will not be liable for damages of any kind, including without limitation, direct, incidental or consequential damages (including, but not limited to, damages for lost profits, business interruption and loss of programs or information) arising out of the use of or inability to use the Site, or any information provided on the Site, or for any other reason whatsoever.